Remember to remove the 3/4 oz. Mag-Trap from the side of your next 10 pounder’s mouth carefully, because the Mag- Trap tends to have you dealing with #4 Set-Loks attached to oversize bass very often. East Texas and West Louisiana tournament fisherman made this lure famous for being the one lure that every angler winning tournament money had tied on. Word quickly spread of the Mag-Traps ability to quickly cover deeper grassbeds and pick up trophy sized bass, and its now a staple lure around the world. 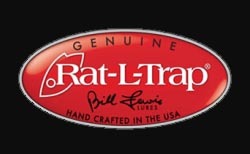 The Rattle Trap literally speaks for itself with its Liv-N-Sound qualities that have proven to closely mimick the sound of distressed shad. Accolades include being used to win the 2007 Bassmaster Classic and more sales than any other single hard-bait in fishing lure history. What more can we say.